Stephanie Beard’s (Rini #2) upcoming movie, A True Story: Based on Things That Never Actually Happened …And Some That Did will have an unofficial screening near the Sundance Film Festival in Utah. Stay tuned to the movie’s Facebook page or Twitter feed for details about when and where the movie will be screened. It looks like fans will have to wait longer for Toby Proctor‘s (Tuxedo Mask #1) upcoming role in The Bridge. No news yet on an official season premiere date, but CBC News is suggesting that The Bridge as well as Stephanie Morgenstern’s (Sailor Venus #1) and Mark Ellis’s Flashpoint may air in the summer on CBS. Katie Griffin (Sailor Mars #1) appeared in an episode of Cra$h & Burn as Maya Porter, a wealthy owner of a thoroughbred horse that died suddenly under suspicious circumstances. Canadian fans can catch the show on Showcase. The show is about an insurance adjuster who deals with dishonest clients and trying to keep costs down in order to do his job. A trailer for the show is available here and full episodes are available online here. Wendy Lyon (Queen Serenity) will be appearing in three episodes of the new series Happy Town scheduled to begin airing this year. She plays Donna Friddle in this mystery show about “a deputy sheriff confronted with the unsolved mystery of a half-dozen child kidnappings over the past decade in a small town in Minnesota.” (description from IMDb). Filmed in southern Ontario, there is no information about the air date for Canada and the US, but it is slated to air in Hungary in February. Emilie-Claire Barlow (Sailor Venus #2) will be performing at L’Astral in Montréal, Québec on Saturday, February 13 at 8pm. Event details and a link to purchase tickets are available here. She will also be performing on February 18th and 19th at the Midland Theatre in Newark, Ohio. Hey, everyone. We have quite a few recent sightings of the North American voice actors for you! This post covers recent and current projects, but we’ll also be letting you know about upcoming projects in part two of this multi-part article. Keep an eye out for more sightings! Dennis Akayama (Malachite) will be appearing in Gangster Exchange, coming to theatres on November 20th. The action comedy is about two men trying to prove themselves as worthy of promotion in the Yakuza and the Bosnian mob. Kirsten Bishop (Zoicite/Emerald/Kaori Knight) is starring in A Touch of Grey, a film about four women coming to terms with being middle-aged. The film premiered in Canada at the Cinefest Sudbury International Film Festival on September 23rd and at the La Femme International Film Festival in the US on October 16th. On Novemeber 13th, it also aired at the Windsor International Film Festival. Visit the film’s official website for more information about the film, clips and trailers, and upcoming showings. 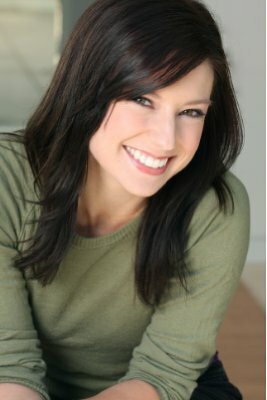 Katie Griffin (Sailor Mars #1) recently appeared in Too Late to Say Goodbye, an original movie for Lifetime Movie Network. The movie is based on the best selling book by Ann Rule, which was based on a true story of a real-life murder investigation. In the movie, Rob Lowe plays a successful dentist who appears to have the perfect marriage. After his wife, Jenn, finds out about his affair, she is soon found dead. Jenn’s sister, Heather, suspects that the death was not a suicide – although it appeared to be – and decides to investigate the truth. Katie plays a character named Dara. Katie is also starring in The Death of Alice Blue (previously mentioned on Moon Chase) with Barabara Radecki (Sailor Neptune). This film about an advertising agency run by vampires is currently airing at various film festivals. Here are some of the upcoming showings: FANCINE, Malaga, Spain, Nov. 18-26; SANTA FE FILM FESTIVAL, Dec. 2-6; MYRTLE BEACH INTERNATIONAL FILM FESTIVAL, Dec. 1-5; CAMBOFEST, Cambodia, Dec. 4-6. Tracey Hoyt (Rini #1) recently appeared on The Ron James Show. The show is a combination of comedy sketches and Ron James performing stand-up routines. Kathleen Laskey (Birdie) plays Barb Strange on Being Erica. The show follows Erica Strange, a young woman who believes she has a bad life because of the bad decisions she’s made. Her therapist transports her back in time to previous significant moments in her life so that she, with the knowledge of her present day life, can make better decisions. Wendy Lyon (Queen Serenity #1) appeared in three episodes of Happy Town as Donna Friddle. The series is about a deputy sheriff confronted with the unsolved mystery of a half-dozen child kidnappings over the past decade in a small town. Tracey Moore (Sailor Moon #1) is playing the title character in a new series called Zigby. The 3D animated television series is about a zebra and his friends. VA Sightings March 2008 (Part 2)! Naz Edwards (Queen Beryl) continues to perform as the singer who can’t sing across Michigan! 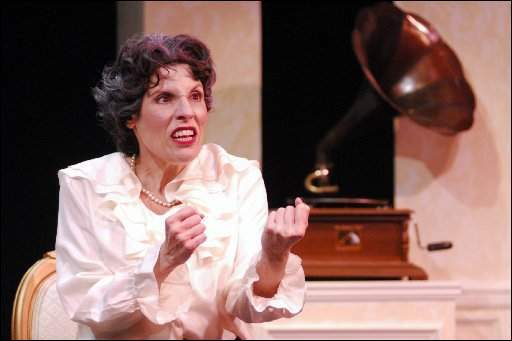 She is currently in Lansing at the BoarsHead Theatre performing in Souvenir, a musical about Florence Foster Jenkins. She liked to believe she could sing, when in reality she could not. Naz is a very accomplished jazz and cabaret singer, and we wonder how hard it might have been for her to train for this role (or rather, learn how not to sing). We’ve read a few reviews of the show and we have heard that it’s really good, and recommend any fans in the area to go check it out! Jeff Lumby Plays Showbiz Dad! Jeff Lumby (Dr. Tomoe) can currently be heard playing Leonard, who is better known as the nerdy father of Ricky Sprocket in Ricky Sprocket, Showbiz Boy! The flash-animated TV show can be seen on both Nickelodeon in the United States, and Teletoon in Canada. The show uses a kid-friendly approach to talk about society’s infatuation with celebrity. Ricky is constantly fighting battles between how he should grow up, and how he should act in the public – or how he should avoid being seen the wrong way by the ruthless paparazzi! Jeff is still a radio host at Dave FM in Cambridge, Ontario. Fans can read his blog, here! 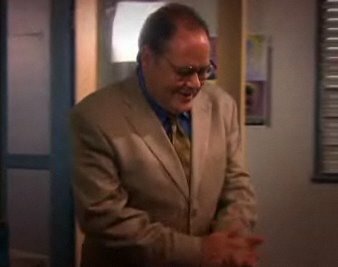 Dennis Akiyama Comes To Degrassi! Degrassi: The Next Generation is a Canadian TV show which is making waves all over the world. It has been a staple on CTV and has now begun on Nickelodeon’s The N and also the CW. Though sometimes controversial, we think this is a good drama for teenagers to watch as it’s very close to being true-to-life. Degrassi follows high schoolers and the challenges they face in and out of school. In the Season 7 episode “Death or Glory Part II”, school strongboy Gavin “Spinner” Mason was diagnosed with testicular cancer. 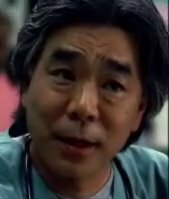 Dennis Akiyama (Malachite) appeared in the show as the Oncologist (Cancer Doctor) who talks to Spinner about his options for treatment. Fans can check out the episode streaming online at CTV or The N.
Tracey Hoyt (Rini #1) appeared on the last episode ever of CBC’s drama http://www.cbc.ca/mvp/. She played, (for the second time in her career) a nurse inj Mad Scramble. Though this time, she was in a more intense situation. 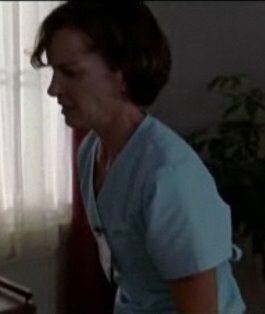 The first time she played a nurse was in the movie Godsend, during the delivery of a baby. This time, she played a psychiatric nurse and got to inject tranquilizers into an athlete who was a little delusional. She handled that syringe quite fiercely! If you are in Canada, CBC has all of the episodes streaming online at the official site. We’ll warn our readers though,this series has some mature content.Tracey has also been teaching voice with Pirate Voice. Toronto’s CityTV went over there recently to pick up a few tips, and Tracey was there to teach them! Fans can watch the video they have posted here to see Tracey in action! … And so did Allison Sealy-Smith! Allison Sealy-Smith (various Monsters of the Day) also appeared on the episode playing Cadde Lawrence, a psychic who helps another wife in search of a missing child. Allison also appeared in the movie, How She Move. This is a Canadian film about Jamaican dance culture and identity. Allison played Mrs. Davis, and fans can try to spot her in some video clips here. The movie was released on January 25th to only a limited amount of cinemas in Canada. 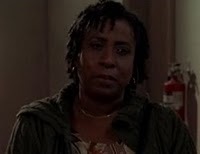 Allison also appeared in Global’s black hairdresser comedy, ‘da Kink in My Hair. The series is based on the play of the same name by Trey Anthony, and was inspired by the many West Indian salons in Toronto’s Eglinton suburb. Trey talked about her inspiration to the National Post last year. Allison played Leanne in the episode Empty Bag Can’t Stand Up . Unfortunately, it seems Global has removed the show from its site, so we can’t provide you a link to watch episodes. We can link you to a trailer, where you can spot the short-haired Allison Sealy-Smith for a quick second! Julie Lemieux on Global Warming Cartoon! 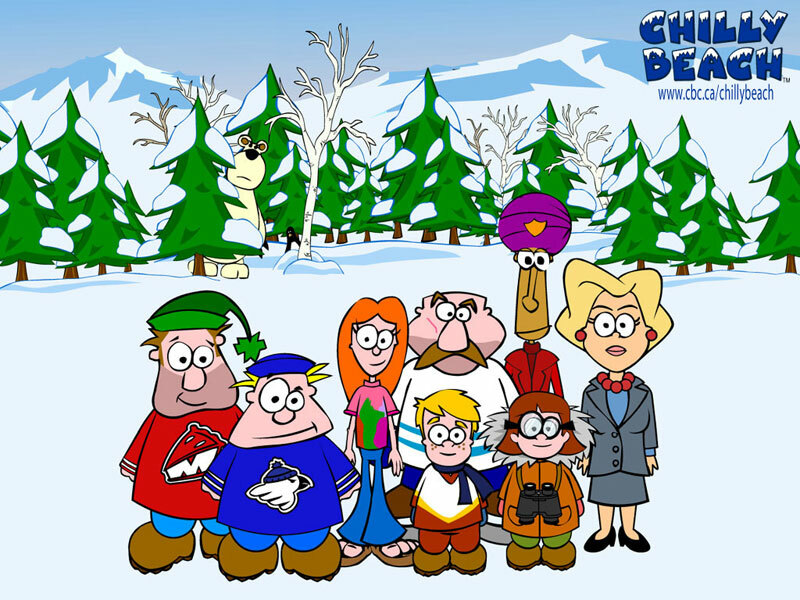 Julie Lemieux (Sammy, Peruru, Young Darien) was heard as the voice of Becky Sue in the movie Chilly Beach: The World Is Hot Enough. 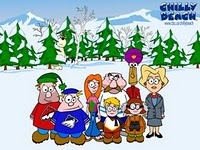 It was just released on DVD , and follows the successful 3-season Canadian series all about life in the way-up-North!. Canucks Dale and Frank are tired (like we all are) of Canada’s infamous deep-freeze winters. So they experiment with climate control, but end up destroying the planet in the process. Now it’s up to them to go back in time and undo the damage before they do it! We hope to catch it soon, as we’ve mostly seen Julie play younger male roles more than she has female roles. More VAs Appear on Little Mosque on the Prairie! Last season, Maria Vacratsis appeared on the groundbreaking comedy, Little Mosque on the Prairie!. Now, it seems two more VAs have visited Mercy, Saskatchewan. These include David Huband (Serena’s Dad) playing a Radio Manager in Crush and Meet J.J., and Norma Dell’Agnese (Prisma) who played the hairdresser Marsha in the episode, Wheat Week. Martha has blinds in her windows, which allows for Muslim women to get a haircut without men seeing them without their Hijab. Of course, things change when Martha takes away the blinds. David plays the manager of Mercy’s only radio station, and is easily swayed from making decisions by getting bribes from Fred, the disc jockey who is desperate to save his job. It seems this show is airing all over the world these days except for the United States. We recommend fans look around for episodes posted on Youtube or Veoh to catch these VAs in action! Fans may be interested to know that while the show still features lots of shots of Regina and area, the production moved to Toronto after the pilot episodes were shot. In the first season, you may have noticed shots of the “Novia Cafe” – the Cafe actually exists and is one of the greasiest places to eat in the city! Wendy Lyon in Two Movies! Wendy Lyon (Queen Serenity)had a role playing Luanne in Kaw, a Canadian film about ravens that attack a small town. The indie flick also stars Sean Patrick Flannery. From the reviews of this movie that we’ve read, it didn’t have more to the plot than that and it was not very well received. For those of you adventurous enough to watch it, the movie is on DVD. Wendy can also be seen in a TV Movie based on the horrible Mayerthorpe Incident in 2005. Four RCMP officers visited the tiny town of Mayerthorpe in the hopes of capturing a farmer who was growing marijuana in a barn. Unfortunately, the farmer shot and killed all four officers in an attempt to evade the law. The movie aired in February on CTV, featuring Wendy as Sally Ranfield. A wonderful performance from Emilie-Claire Barlow (Sailors Mars & Venus #2)! Here she is singing O Pato on Quebec’s Belle et Bum show! Check out her blog to learn all about what she’s been up to! We wish you the best of luck Emilie-Claire – the National Jazz Awards are just around the corner!